With 2019 just around the corner, Empire is getting ready to hype to biggest films of the new year with their January issue. 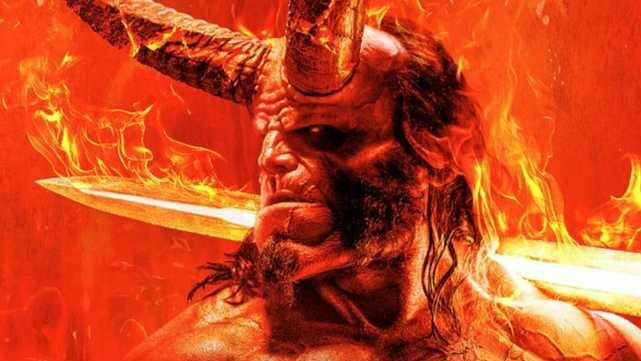 Among other offerings, the magazine has graced us with a new look at David Harbour as Hellboy in Lionsgate’s upcoming reboot. Unlike previous shots of Harbour’s take on the character, this latest photo appears to be an actual still image from the film. It’s also painfully clear that Big Red isn’t skipping his core exercises at the gym. You can check it out for yourself via Twitter below. Hellboy is a mere five months away and surprisingly, Lionsgate has yet to release an official trailer. Fans who attended this year’s New York Comic-Con were treated to the first round of footage from the movie. However, anyone else hoping to see it has to scour the internet for a bootleg version. The reason for the marketing delay could potentially be blamed on recent test screenings. Rumor has it that reaction to these previews has been negative, and the studio might be devoting their resources towards fixing any problems during reshoots before ramping up the film’s promotional efforts. Hellboy smashes into theaters on April 12, 2019. What do you think of this new image of David Harbour as the character? Share your thoughts in the comment section below!